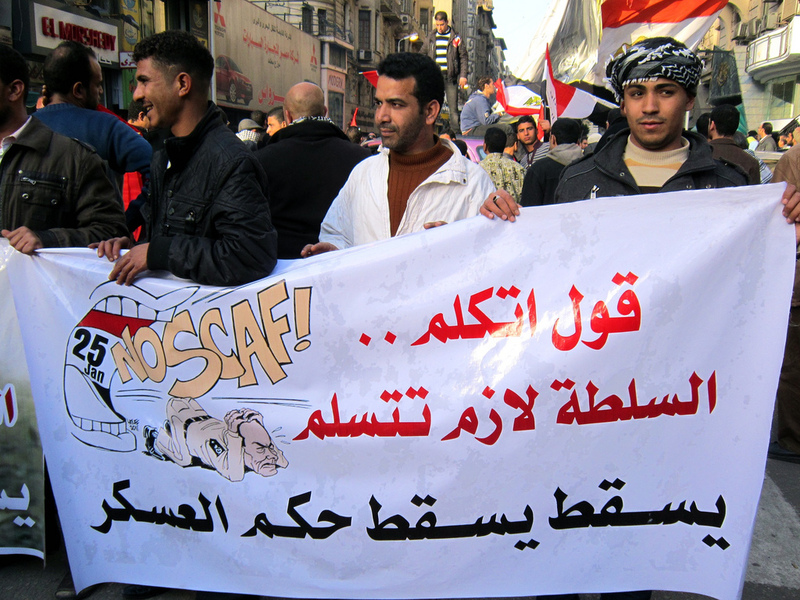 Protesters marching to Tahrir Square, holding banners and my “No SCAF” cartoon. Thousands gather in Cairo yesterday to mark one year of the revolution that toppled dictator Hosni Mubarak. This shot was made by Gigi Ibrahim and published in her Flickr gallery.